Student Ministries – Our regular meetup scheduled for 7:00 pm has been cancelled. We are currently in need of two nursery workers, one lead and one assistant. Our Child Care Provider Job Descriptions are available here. Please contact our Learn Ministries Coordinator, Laura Bray at LauraB@trinitysouthlake.org if you are interested or for more details. 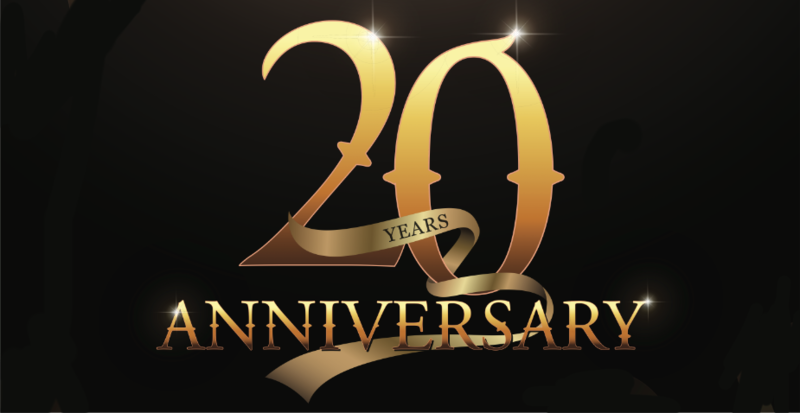 We are getting ready to celebrate Trinity’s 20th Anniversary on May 19th! We’ll start the day off with a 10:00 am service which combines the worship styles of our traditional and contemporary services into one blended-style service, so we may all worship together as one big Trinity Family. Following our Worship service, we’ll gather for a celebration party. This is a big day in the life of our church and we’d love to have your help. We have a team gathering our history. If you’re interested in helping, please contact Liz White. If you have any pictures of the church over the years, please send them to Sue Mulvin (SueM@trinitysouthlake.org). A team is making an anniversary quilt. You can contact Jackie Boroff if you’re interested in helping with this. Finally, if you’re interested in helping to organize the party, contact Pastor Tim (TimG@trinitysouthlake.org). The Holy Week journey defines us a Christians with an experience of celebration and triumph leading to the depths of betrayal and despair. However, in our mourning, we’re finally led to the ultimate victory over death in the discovery of the resurrection of Christ our Savior. We welcome all to walk this path with us from Palm Sunday, through Good Friday, and into Easter. We have a new smiling face at the welcome podium on Sunday mornings. Please join us in welcoming Brittany Bradley to the staff of Trinity as our new Sunday Morning Coordinator. In this role, she is our point person on Sunday mornings to welcome new families, help parents and children get to their Sunday School classes and ensure our teachers have the resources needed in their classrooms. Brittany was born and raised in Sugar Land, Texas where she grew up in the First Presbyterian Church (baptized and confirmed). After high school, she moved to east Texas to study Food, Nutrition and Dietetics, then moved to north Texas in 2013. She has dedicated the last five years of her life caring for babies and young children and is currently a full-time nanny. You may recognize her as she is not new to Trinity. She started working here in 2015 as an assistant nursery worker and became a lead nursery worker in 2016. All “her kids” (past and present) hold a special place in her heart and she credits them for helping her discover her passion and teaching her lessons about unconditional love, bravery, and living in the moment. Their sweet hugs and precious giggles remind her daily that she is making a difference in their lives. At home, Brittany has two huskies, Tasha Marie and Theodore Eric, who she adopted from Texas Husky Rescue. She enjoys hiking with her dogs, kayaking, watching hockey (go Stars! ), cooking (mostly the eating part), cleaning (she LOVES to clean), dancing, shopping, and interior decorating. A fun fact about Brittany is that she faced her biggest “fear” this year by flying on an airplane for the first time in January. It turns out that she absolutely loves flying and cannot wait to do it again. She is beyond excited and feels blessed to be our new Sunday Morning Coordinator. We are happy to announce that Laura Bray, our Music Director, has agreed to assume the interim position of Learn Ministries Coordinator for Trinity. 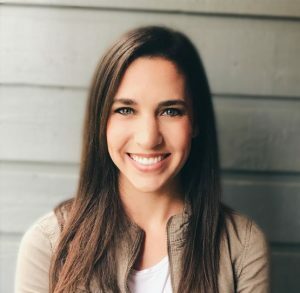 In this role, she will be responsible for overseeing our Christian Education activities in partnership with our Sunday Morning Coordinator, Brittany Bradley. 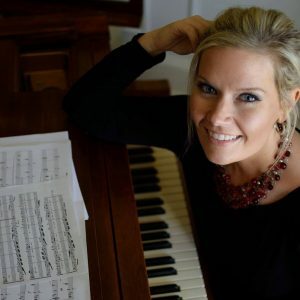 Laura joined the staff of Trinity in November 2019 as our Music Director and is excited to add the Learn Ministries to her responsibilities. Our Wednesday Morning Women’s Study Group will start a new study about Angels beginning April 10th. 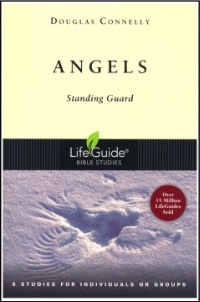 This will be an 8-week study based on Douglas Connelly’s LifeGuide book, Angels Standing Guard. Angels, 8 Studies for Individuals or Groups was written to help you discover for yourself what the Bible says about these marvelous beings. Thirty-four of the Bible’s sixty-six books talk about angels in detail. Every New Testament writer confirms their existence. Jesus himself referred to angels as real beings who were involved in every realm of human activity. Each study includes an introduction, an opening discussion question, personal reflection, study questions, a prayer suggestion, leader’s notes, and more. If you are interested in participating, please contact Sue Mulvin (SueM@trinitysouthlake.org) for a book. The cost should be around $7. This Study Group meets every Wednesday morning at 9:30. Please note that we will not be meeting on April 3rd. Have you always wanted to play bells or sing in the choir, but don’t like the weekly commitment or missing a meal? Then our retreats are for you! 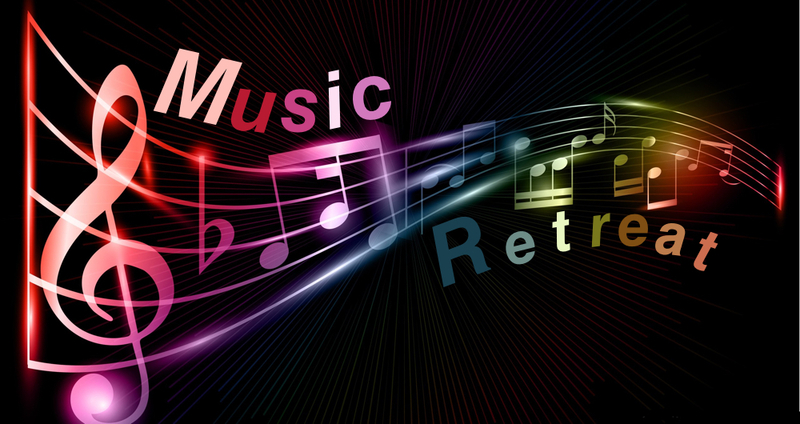 Come, learn the music with us and play/sing during Holy Week. We are having two “Holy Week Boot Camps” to get everyone excited about serving and worshiping in the very way God instructed us through the Psalmists. Childcare is provided. Please email laurab@trinitysouthlake.org to reserve childcare or with any questions. There will be a signup for the retreats so we know how much food to order, but if you just show up, you’ll be fed! We have several indoor and outdoor projects to ready the Trinity campus for spring. IMPORTANT! Due to the weather forecast on April 6th, we are limiting the work on this day to indoor tasks. We’ll get started around 8:00 am. Outdoor work has been rescheduled for Saturday, April 13th from 9:30 am – noon. Install plywood baseboard in the west storage closet of the gym. Inspect folding partitions in the gym and make repairs. Replace water stained ceiling tiles around the building. Move / spread mulch pile located in the north parking lot. Trim low hanging tree branches over the sidewalks. Complete river rock drain beds below down spouts on east side of building. Install additional gravel beds along gym foundation. Move paint stored in various locations around our building to the new storage bin and evaluate for retention or disposal. Whether you can give an hour, or give the entire morning on either Saturday, we can use your help. Please contact Hank Barger or the church office for further details.